It is the main offering to Muthappan that is being done in the wee hours of the morning.Valiyamuthappan is called Thiruvappana and CheriyaMuthappan,Vellatom.’Thiruvappana Adiyanthiram’ is the celebreation of the combined images of both the Muthappans.Its expense is Rs.25.00 only. Uttum Vellatum is a holy ritual celebrated in connection with ‘Thiruvappana Adiyanthiram’ and also separately under exigencies. The offerings are ‘Vechootu, Vecharimgat, Neekari, Incinerated fish, grains that are steamed, toddy and arrack. The devotees dance along with the Madayan will listen to the problems of his devotees and prescribe solutions to them with his final blessings. The expense for it is a meager Rs.15.00. 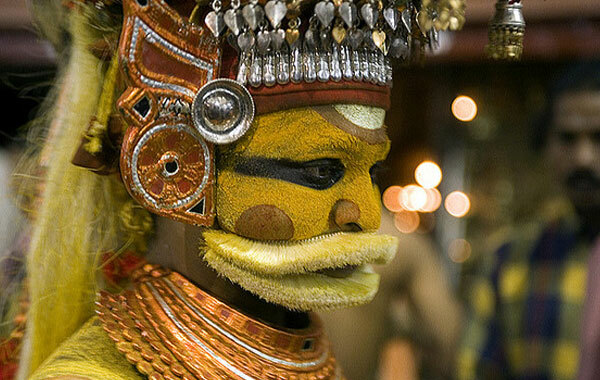 This is a ritual made in honour of imaging Muthappan offering him toddy, incinerated fish, cooked grains an coconut. Only Adiyans, Thiyyas and Vannans have the legitimate right to do this ritual.Its expense is only Rs.5.00. 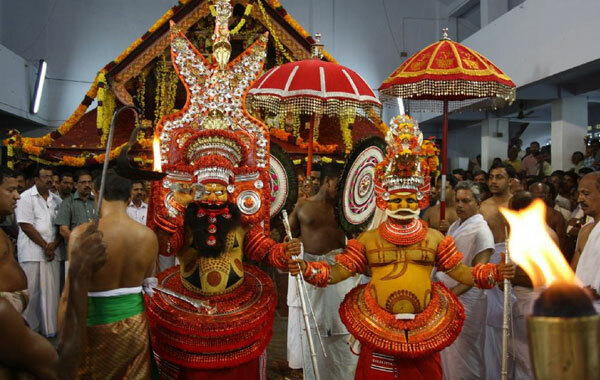 It is a ritual done in honour of imaging Muthappan offering him toddy, incinerated fish, cooked grains and coconut. Only Adiyans, Thiyyas and Vannans have the legitimate right to do this ritual.Its expense is only Rs.2.00. It is ritual being performed by devotees with offerings like grain and other Things which will be equal in weight with the weight of the devotees. Image in silver or gold of humans, their eyes, hands or feet are made and offered to Mattapan admist the chanting of prayers. This can be done for the cure of diseases and also for getting good health. Once children are born after marriage the couple offers in silver or gold the image of a small cradle and offer it to Muthappan. 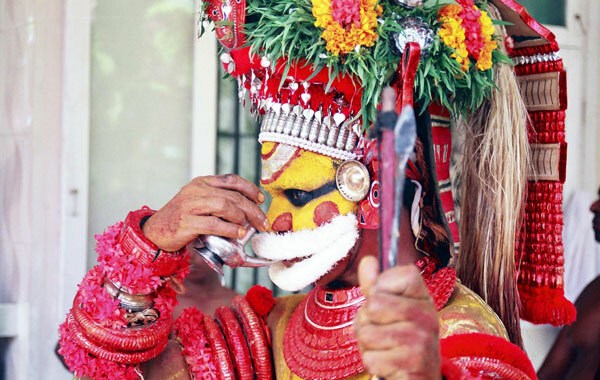 Theyyam is a very prominent holy ritual of North Malabar. The temple. Theyyams is designated under different names like ‘Sthanam,Kavus(Groves),Kottams(small fortresses).Tharavads etc.Madapura is the abode of Muthappan .Muthappan doesn’t have an established and acknowledged legacy of ritualistic patterns in commensurate with any of the dictums enshrined in any holy book. But at Parassini Madappura the images of Muthappan are displayed. However, prominence was given in Madappuras to Theyyakolams.Devotees visualize Muthappan through their imagining of Theyyam.Podikkalam was the first place for Muthappan which later metamorphosed to Madappura.Parassini Madappura Muthappan and the temple have become very much renowned down the years and devotees from far and wide crowd here which has lent the halo of a very attractive ambience to this holy place.